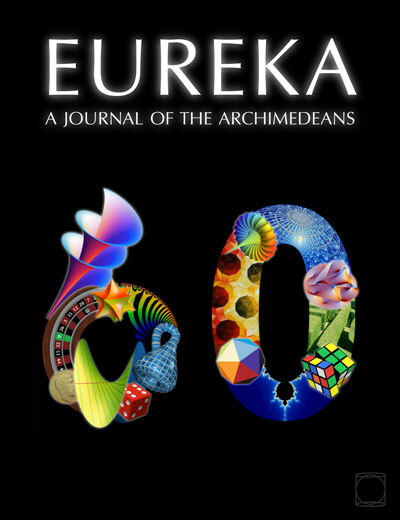 Eureka is one of the oldest recreational mathematics magazines in the world, published since 1939 by The Archimedeans, the mathematical society of Cambridge University. 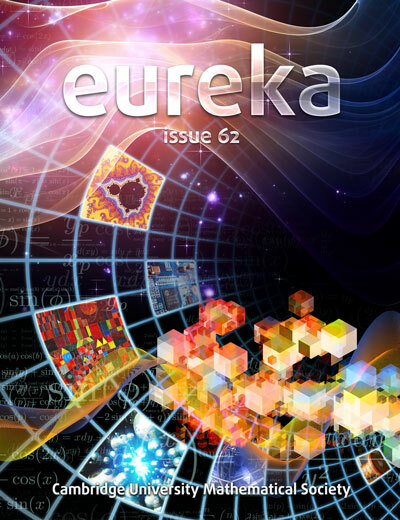 It contains mathematical articles on a wide range of mathematical topics, as well as puzzles, games, artwork and book reviews. 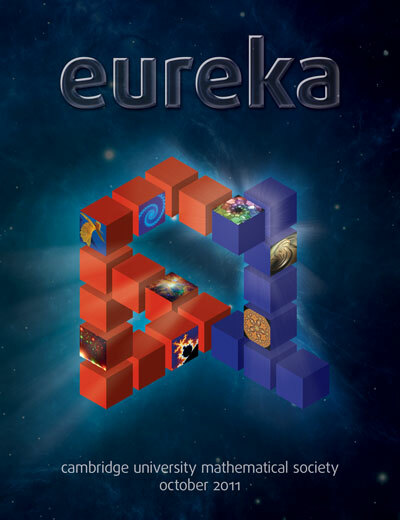 Authors have included Nobel Laureate Paul Dirac, Fields Medallist Timothy Gowers, as well as Martin Gardner, Stephen Hawking, Paul Erdös, John Conway, Roger Penrose and Ian Stewart.